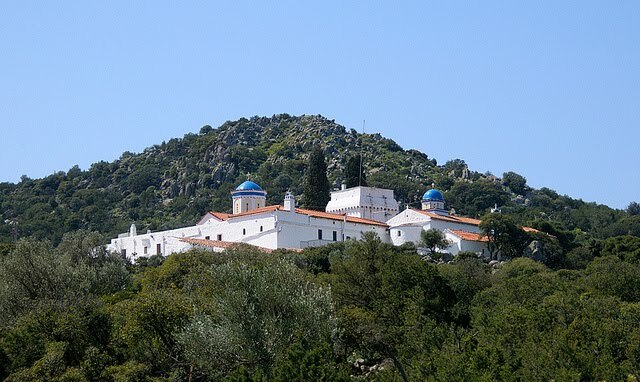 A short scenic drive or 45-minute scenic walk south from the Church of Saint Nektarios in Aegina brings you to Panagia Chrysoleontissa (Golden Lioness), a monastery set deep in a wild, forested valley in the center of the island. 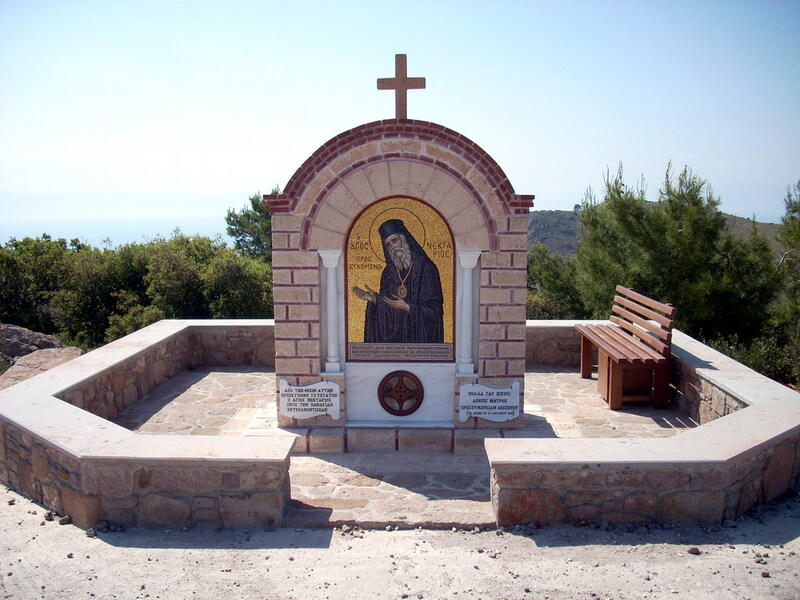 The monks chose this sheltered spot to house the icon of Panagia Chrysoleontissa in about 1600, when their old home at the Monastery of Saint Leontios on the north coast was attacked by pirates. It was built on the foundations of another monastery built by Emperor Heraclius in 1403. 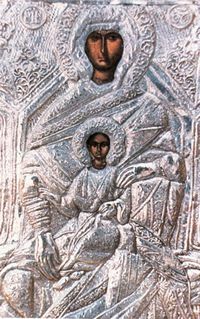 It took fourteen years to build and was proclaimed by Ecumenical Patriarch Timothy to be a Stavropegic and Patriarchal Monastery in 1614. 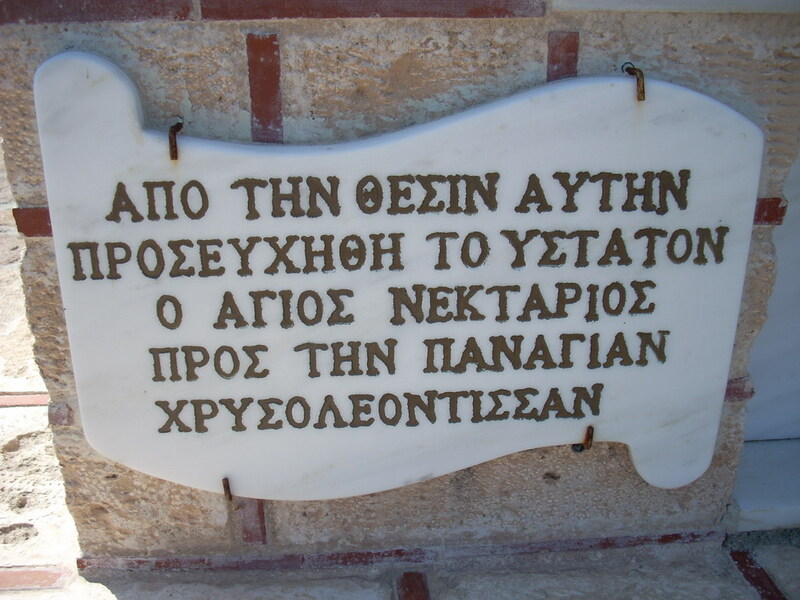 In 1808 it was rebuilt after a fire by Parthenios the Monk. The courtyard is fragrant with roses and shaded with cypresses, tended by a community of nuns who took over from the monks in 1935. They show visitors around during daylight hours (except for 2pm to 4pm). 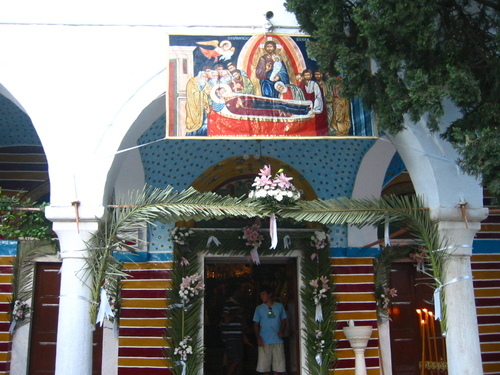 The church, rebuilt after a fire in 1808, has a carved iconostasis dated 1670. Peacocks and geese are kept in the grounds, and a great peace prevails. This peace is transformed to a great celebration on August 15th for the feast of the Dormition of the Theotokos, which is the greatest annual celebration of the island of Aegina. 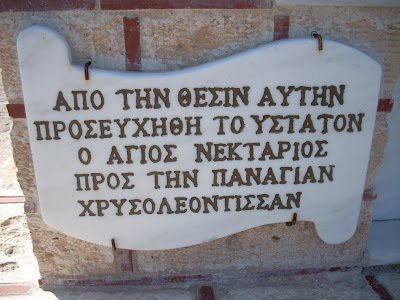 Within the Monastery one can see the "Handprint of the Panagia". According to one tradition, when the monks were bringing the icon of Panagia Chrysoleontissa from their old monastery to establish a new one, they stopped on the road to rest. At the spot where they placed the icon, it left an imprint which can still be seen today. 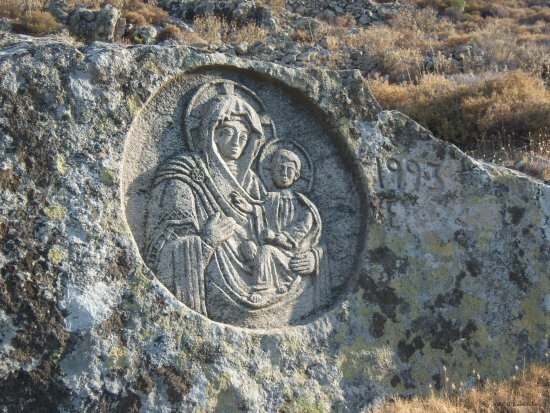 Another tradition says that the Panagia herself climbed the mountain, and at the spot she decided to rest the imprint remained. 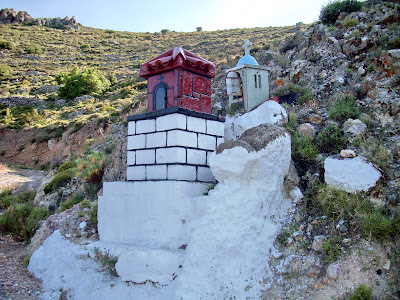 An oil lamp burns at this spot day and night. Also preserved is the spot at which St. Nektarios prayed when visiting this monastery.